Buy a 7 Night Stay in a Studio, 1 or 2 Bedroom Suite at The Ridge Pointe Resort NEAR LAKE TAHOE! 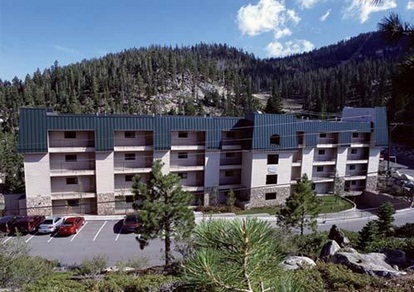 The Ridge Pointe Resort in Stateline, Nevada NEAR LAKE TAHOE- Buy a 7 Night Stay in a Studio, 1 or 2 Bedroom Suite! Enjoy 7 Nights in a Studio, 1 or 2 Bedroom Suite at The Ridge Pointe Resort in Stateline, Nevada Near LAKE TAHOE! Ridge Pointe Resort is conveniently located to all of Lake Tahoe's activities. Guests have full use of The Ridge Club amenities at The Ridge Tahoe, just minutes away, as well as on-site amenities including an exercise/weight room and barbecue deck with spa. Imagine a perfect alpine lake -- smooth-as-glass green water, towering snowcapped mountain peaks and a sky that seems always to be sunny -- and you're looking at Lake Tahoe, situated where California and Nevada meet. Outdoor lovers flock to this natural paradise, spending their days skiing California's best slopes in winter, and hiking, paddling, and camping in Bliss State Park and Lake Tahoe's North Shore wilderness in summer. But in the evening manmade attractions rule this California resort area, when the bright lights of Vegas-style casinos glow over Tahoe's South Shore. Each unit includes a king size bed, telephone with voicemail answering service, coffee maker, microwave, television with DVD player and one bathroom with hairdryer. Your STUDIO UNIT will accommodate up to 2 guests and some units come with a partial kitchen.